United Nations Environment Programme (UNEP), 2008, Atmospheric Brown Clouds: RegionalAssessment Report with Focus on Asia. Atmospheric Brown Clouds: Regional Assessment Report with Focus on Asia. Infrastructure in China Sustaining Quality Growth”. KPMG Global China Practice. 2013. Coonan, Clifford. “Beijing is left fighting for breath as pollution goes off the scale.” The Independent. 29 Jan. 2013. Institute of Public & Environmental Affairs. “Small Particles, Big Breakthrough – 2012 Urban Air Quality Information Transparency Index.” Oct. 2012. China’s pollution puts a dent in its economy”. Cambridge, MA: MIT news. 13 Feb. 2013. China.” Global Alliance for Clean Cookstoves. United Nations Foundation, n.d.
Agriculture in China”. Ministry of Agriculture, PRC. 4 Mar. 2010. Liu, Xuecheng. “China’s Energy Security and Its Grand Strategy.” The Stanley Foundation. Sept. 2006. Tsukimori, Osamu. “China overtakes Japan as world’s top coal importer.” Reuters. 26 Jan. 2012. India: Greenhouse Gas Emissions 2007. Ministry of Environment and Forests Government of India. May 2010. AFP. “India set for worst car sales in decade after January plunge.” MSN Autos. 11 Feb. 2013. Fuel Cells and Hydrogen in China 2012. Hertfordshire, UK: FuelCellToday, 2012. Timmons, Heather and Malavika Vyawahare. “India’s Air the World’s Unhealthiest, Study says.” The New York Times. 31 Jan. 2013. Air pollution is the fifth largest killer in India: says newly released findings of Global Burden of Disease report”. NGO News. 13 Feb. 2013. India: Priorities for Agriculture and Rural Development”. The World Bank Group. 2011. Ahn, Sun-Joo, and Dagmar Graczyk. “Understanding Energy Challenges in India” OCED/IEA. 2012. 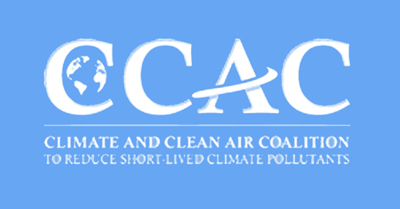 Clean Air Initiative for Asian Cities (CAI-Asia) Center. “Green Freight China Seminar Summer Report – Draft.” May 2011. Venkataraman, C. et al. “The Indian National Initiative for Advanced Biomass Cookstoves: The Benefits of Clean Combustion.” Energy for Sustainable Development 14.2 (2010): 63–72. Web. 4 Mar. 2013. Hinds, Samuel A. and Dr. Farooq Abdullah. “Empowering rural India the RE way: inspiring success stories.” Ministry of Renewable Energy, Government of India. 2012. Fischer, Karin. “As U.S. and India Expand Higher-Education Partnerships, Officials Focus on ‘More Purposeful’ Connections”. Washington, D.C.: The Chronicle of Higher Education. 12 Jun. 2012.